Both sexes fully winged. Body color yellow, antennal segments III–IX brown, fore wings shaded. Antennae with segment VI partially divided, thus apparently 9-segmented; sensoria on III–IV forked. 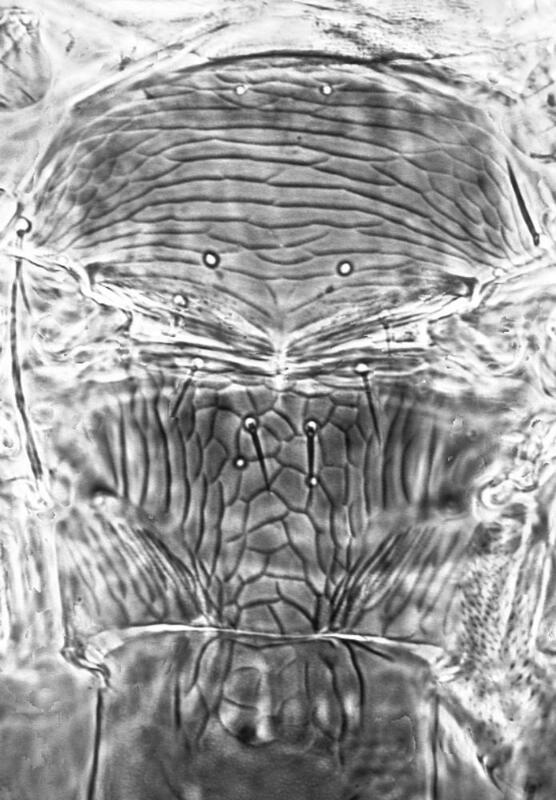 Head with three pairs of ocellar setae, pair III on anterior margins of ocellar triangle and slightly longer than distance between posterior ocelli. Pronotum with one pair of long posteroangular setae. 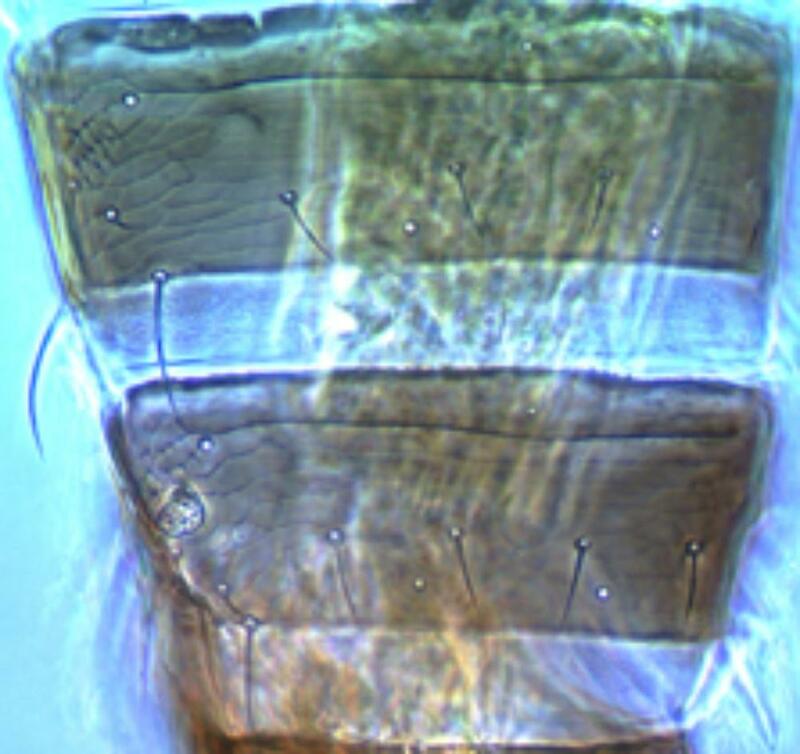 Metanotum reticulate, median setae just behind anterior margin; campaniform sensilla present. Fore wing first vein with three setae on distal half, second vein with about 11 setae. Abdominal tergites with median pair of setae not close together; tergite VIII without a marginal comb; sternites without discal setae. 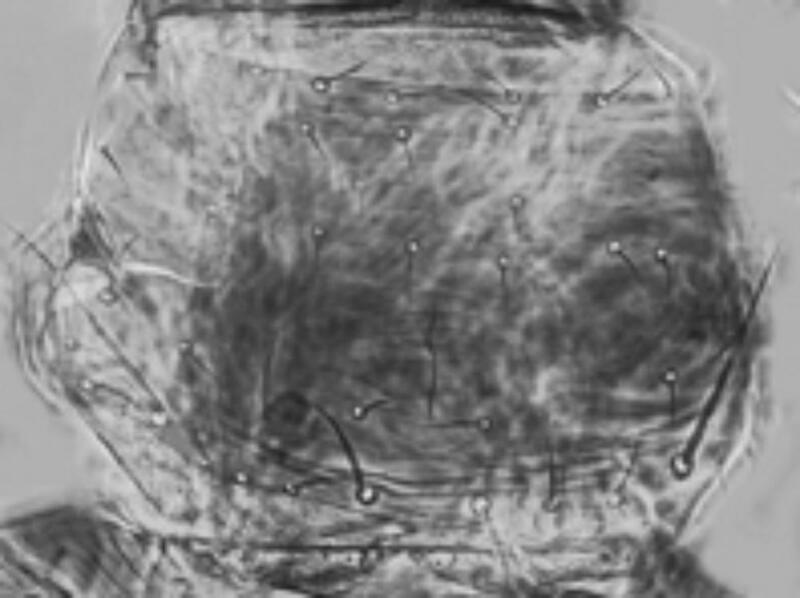 Male with small circular pore plate on sternites III–VII; tergite IX with two pairs of short stout setae medially. 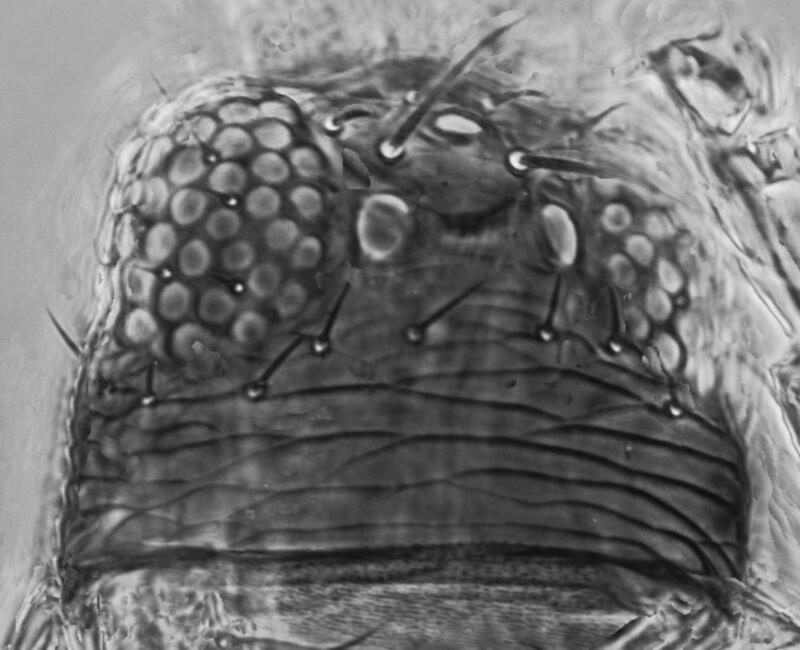 Bailey (1957: 189) recorded the European species Oxythrips quercicola Bagnall from Pinus and Quercus in California, but subsequent examination of Bailey's specimens indicates that this was a misidentification. The genus is thus known to occur in California, but the identity of the species involved remains unknown. In order to ensure that the genus can be recognized within the Californian fauna, the eastern USA species, O. divisus, is included here. The genus Oxythrips includes 50 species, almost all from the northern Hemisphere apart from 12 that are known only from fossils. The species are very similar in structure to the species of Anaphothrips but have one pair of elongate pronotal posteroangular setae, and the species of Chilothrips are also similar, but have the mouth cone unusually elongate.